Research in optimism is a burgeoning field. There have been more studies on optimism in the last seven years than in the previous twenty. Reviewing the field of research on optimism, one is at first struck by the overwhelming number of positive outcomes associated with optimism and then by the widespread propensity that humans have for optimism or for a positive bias in their outlook on life and their self assessment. Psychologists classify the population as largely optimistic by their measurements. i.e. Segerstrom (2006) claims some 80% of people are classified as optimistic, and Seligman (1990) claims 60% of people are somewhat optimistic. Optimism has been highlighted as being an important evolutionary part of survival. In his book Optimism: The Biology of Hope, Tiger (1979) argued that it is one of our most defining and adaptive characteristics. Research has shown that optimism is correlated with many positive life outcomes including increased life expectancy, general health, better mental health, increased success in sports and work, greater recovery rates from heart operations and better coping strategies when faced with adversity. In order to evaluate whether this research has indeed proven that optimism is such a positive virtue, we need to understand the historical background that gave rise to the first wave of studies into optimism. Optimism had historically had a view of being associated with simplistic and unrealistic people, perpetuated more in literature (i.e. Voltaire 1700s, Porter’s Pollyanna), and in Freud’s psychoanalytical theorising (optimism was illusory denial) than in psychological fact. As is often the case in all emerging fields, the pendulum strikes one way, then the other and then settles somewhere in the middle. This article argues that this is what has happened in the research documenting the effects of optimism. The first wave of research focused on defining optimism and creating measurement tools. This then allowed researchers to investigate what optimistic people could do and would do. The resulting studies showed an almost startlingly positive picture in favour of the benefits of an optimistic outlook, whether this is dispositional (Carver and Scheier) or the way we explain events that happen to us (Seligman and Peterson). This coupled with the work of Shelley Taylor who argued strongly in her book Positive Illusions (1989) that positive distortions of personal attributes, mastery and assessment of the future are widespread and actually the sign of healthy, well adjusted people, heralded optimism as a desirable and positive trait. Charles Carver and Michael Scheier coined the term ‘dispositional optimism’ to describe their approach – the global expectation that good things will be plentiful in the future and bad things scarce. 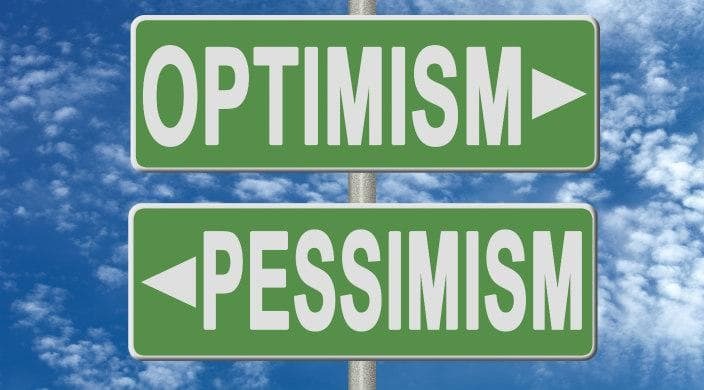 They argued that optimism is associated with, and leads to, securing positive outcomes whereas pessimism is associated with greater negative outcomes (Scheier and Carver 1992, Scheier, Carver and Bridges 2001). For example, in studies of young adults, optimism has been found to be associated with greater life satisfaction (Chang, Maydeu-Olivares & D’Zurilla, 1997) whereas pessimism has been found to be associated with greater depressive symptoms (Chang et al 1997). Carver and Scheier see optimism as dispositional. They have found that optimists report fewer physical symptoms, better health habits and better coping strategies. Even among a group who had experienced the bad outcome of being diagnosed with breast cancer (Carver et al 1997) found that optimistic personality types experienced less distress, engaged in more active coping and were less likely to engage in avoidance or denial strategies. Arising from Seligman’s famous “learned helplessness” research in the 70s and 80s, i.e. the reaction of giving up when faced with the belief that whatever you do does not matter, was the related concept of “explanatory style”. This was developed from the analysis and patterns of how people explained events that happened to them. “An optimistic explanatory style stops helplessness, whereas pessimistic explanatory style spreads helplessness” (p. 15). 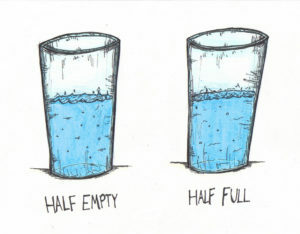 The theory was devised in the context of learned helplessness and, as such, it may rely too heavily on the notion that the absence of pessimism creates optimism. The application of “learned optimism” focuses on reducing helplessness/depression through the cognitive therapy models developed by Beck (1967, 1979) and Ellis (Ellis and Harper, 1975). With so many positive correlates, questions abounded with the corollary raft of research which challenged the notion of the ubiquity of optimism benefits. Highlighting the underbelly or dark side of optimism. “Pessimism is an entrenched habit of mind that has sweeping and disastrous consequences: depressed mood, resignation, underachievement and even unexpectedly poor physical health.” Seligman states in his 1995 book The Optimistic Child. 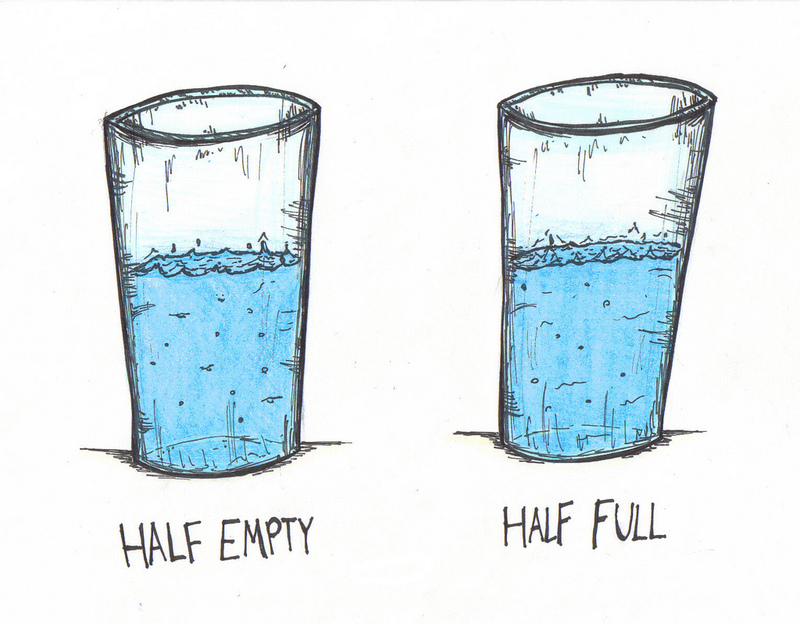 a) Showing that pessimism is not uni-dimensional with optimism but a separate construct, and as such does not always have the negative outcomes that juxtapose it with optimism’s positive results. Bromberger and Matthews (1996) found that although pessimism seemed to be associated with greater depressive symptoms and greater negative affectivity in middle aged women, pessimism was not a significant statistical predictor of later depressive symptoms once they had controlled for certain variables. Studies looking at lung cancer patients (Schofield, Ball, Smith, Barland, O’Brien, Davis et al., 2004) and HIV patients (Tomakowsky et al., 2001, Reed et al., 1994) show no difference between optimistic and pessimistic recovery rates. b) Some research highlighted that pessimism was actually more of a predictor for certain outcomes than optimism. Peterson and Chang raise the point that upon closer look at many studies the more exact conclusion is that pessimism is associated with undesirable characteristics, not that optimism is associated with positive ones. Chang (1998) has found that it may be the decreased use of passive and ineffective coping strategies rather than the increased use of active coping efforts that distinguishes dispositional optimism and pessimism. c) Some studies have even proven that indeed there are times when pessimism paid off. Norem and Cantor (1989) highlight defensive pessimism as a coping style, which focuses around a specific context. They looked at academic performance. The defensive pessimist in this context is one who anticipates and worries about a poor result despite a prior good track record. This is perceived as self protective and thus defensive in two ways, either acting as a buffer if it turns out to be right, or acting as a spur into action. The result is that defensive pessimists tend to perform as well as academic optimists. Interestingly however, this is not true over the long term. After 3 years the defensive pessimists were no longer performing as well as the optimists, and moreover were reporting less life satisfaction and more psychopathological symptoms. Seligman’s work with the Penn Resiliency Programme, and the programme outlined in his books, Learned Optimism and The Optimistic Child suggested optimism can be learned, but whether this was learning optimism or reducing pessimism is a point to consider. The programme was based on Beck and Ellis’s cognitive behavioural techniques devised to conquer depression. Other research has proven that optimism has a dark side too and that there are potential pitfalls to an optimistic personality. Robins and John (1997) have found that optimistic illusions of performance are more likely to be associated with narcissism than mental health. This research challenges the notion that optimism as a precursor for a happy and successful life is a given. This area of research shows examples where optimism has proven to have poor outcomes. Another angle has been in “quantifying” optimism, proving the hypothesis that too much of a supposed good thing can be bad for you. In his studies of unrealistic optimism, Weinstein (1989, 1984, Weinstein and Kliein, 1996) has proved evidence of the harmful effects of optimistic biases in risk perception related to a host of health hazards. Those who underestimate the risk, take less action. For example, Weinstein, Lyons, Sandman, and Cuite (1998) found that those who underestimated the risk of radon in their homes were less likely than others to engage in risk detection and risk reduction behaviours. 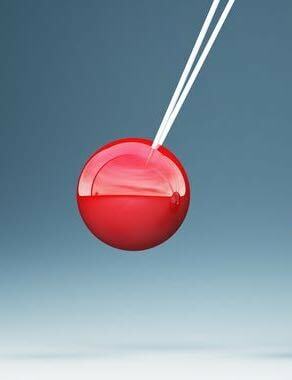 The pendulum is swinging back now into a healthy middle ground which requests depth rather than breadth of study. The last decade has brought us research that is more sophisticated in terms of its preciseness in measurement. There is now a general acceptance that optimism is separate from extraversion and neuroticism and positive effect. Carver and Scheier conclude that neuroticism is the most interesting and may hold sub-points connected to optimism and pessimism which they encourage researchers to analyse. The evidence strongly supports the notion that optimism is a strong predictor for positive outcomes even when controlling for mood, affect, and other personality dimensions. More studies show positive outcomes than not, and no studies to date have shown pessimism as a predictor for healthy outcomes related to physical health. Research is encouraging that, whilst optimism may be dispositional, it can indeed be learned. It has less inherited aspects than some of the other dispositional traits and as such is responsive to interventions. Segerstrom asserts her thesis in her book Breaking Murphy’s Law, “The thesis of this book is that optimists are happy and healthy not because of who they are but because of how they act” (p.167). Optimism is more what we do than what we are, and thereby can be learned. This has exciting implications for application and interventions. Norem, J. K., & Cantor, N. (1986). Defensive pessimism: Harnessing anxiety as motivation. Journal of Personality and Social Psychology, 51, 1208-1217. Weinstein, N.D. (1984). Why it won’t happen to me: perceptions of risk factors and susceptibility. Health Psychology, 3, 431-457. Weinstein, N.D. & Klein. (1996). Unrealistic optimism: present and future. Journal of Social and Clinical Psychology, 15, 1-8. Weinstein, N.D., Lyons, J.E., Sandman, P.M., Cuite, C.L. (1998). Experimental evidence for stages of health behaviour change: The precaution adoption process applied to home radon testing. Health Psychology, 17(5), 445-453.